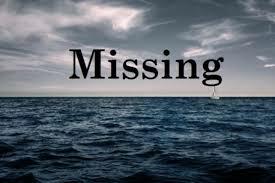 Police have confirmed that three men have been reported missing at sea. According to a report from Superintendent of Police, Richmond Valentine investigations are ongoing into the circumstances surrounding the disappearance of the three men. Superintendent Valentine said missing are: Brenton Christian of Bath Estate; Noel Lawrence of River Street and; a male foreign national whose identity is unknown. “On Sunday 12th January, 2019 at 2 pm a report was made at the Coast Guard Base,” Superintendent Valentine stated. “According to the complainant he received a call about midnight on 11th January, 2019 that the men were in distress on a boat named “Tsunami” about 48 miles west of Dominica. The complainant went in search of the boat and the occupants which proved futile,” Superintendent Valentine reported. Searches were conducted by; the Dominica Coast Guard; Maritime Rescue Coordinating Center (MRCC) and; the Regional Security System (RSS) however, neither the boat nor the occupants have been found. Have a any further development in the search arise? Have the men being found? Have the police team check the vecity of others Islands, hospitals, prisons? Have the Domijica Police contact the USA Coast Guard to inquire if they have being found?